Tuesday! Perfect excuse to make some tacos as it is Taco Tuesday. I don’t know who came with that idea but the hashtag #tacotuesday has become so famous, it is one of my favourite tags, but to be honest, I can’t wait to Tuesday, I could eat tacos any time, any day and with anything, well almost with anything, because I have to confess that I do not like tongue tacos. 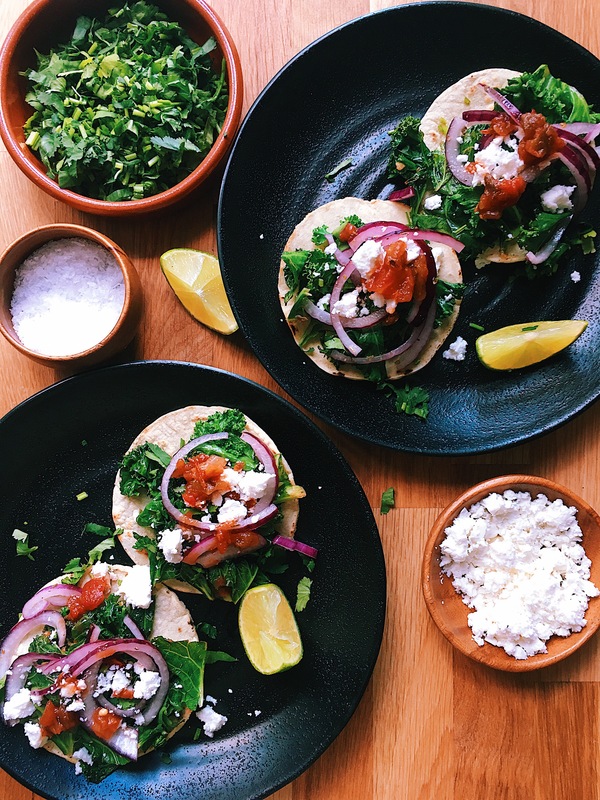 Today I am bringing you a very healthy option for Taco Tuesday, kale tacos, an excellent vegetarian option packed with nice flavours and if you are not vegetarian they can be topped with any type of meat (chicken, pork, lamb or beef) or with seafood or fish. 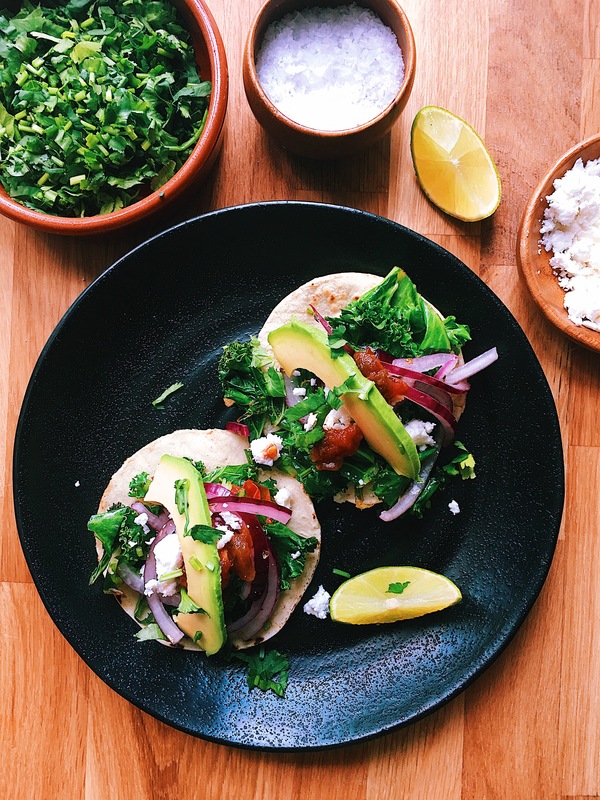 I made this tacos especially for el inglés (my hubby), but for me, I added some grilled prawns and for my little ones I made some roasted chicken. The kale is the base and then you put on top whatever you fancy! Prepare all the toppings and set them aside. Heat the oil on a large frying pan, medium heat. Once hot, add the cherry tomatoes and the onion, fry for 5 min, then add the garlic and fry for 2 more min, then add the kale, stir continuously, add the salt, paprika and pepper Fry for further 10 min and set aside. If you are adding meat, fish or seafood, add it at the end, once the kale is cooked. Heat the corn tortillas and wrap them in a kitchen clothe to keep warm. To make the taco, put some kale then add any topping you prefer. Enjoy!